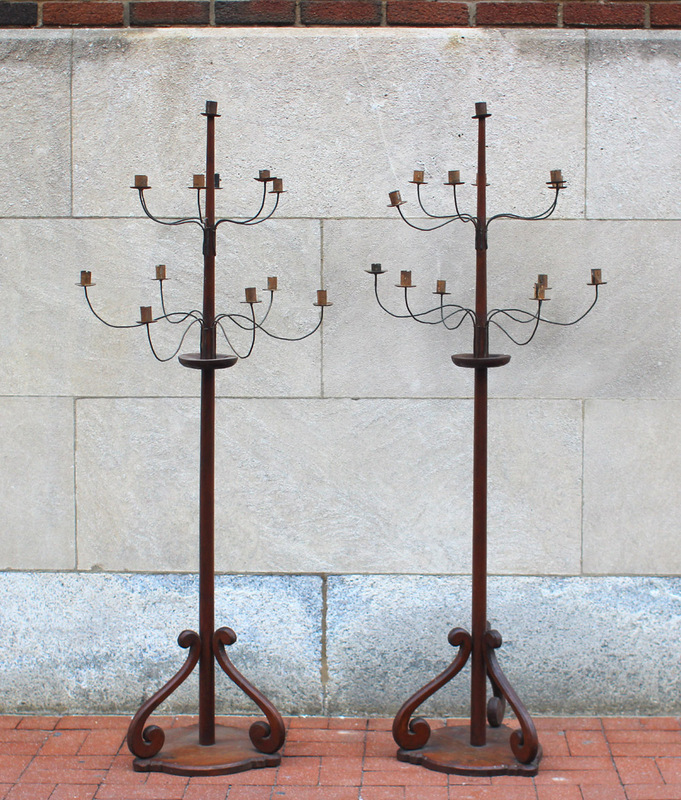 Handsome carved and painted standing torchieres, each with 12 (6 over 6) formed iron candle holders. Original paint. American, circa 1910.